← Living Happy, The Best Way We Can. Visit the official blog tour page with Chapter by Chapter to see all the stops for the entire tour. You’ll find reviews and other interesting bits about the author and book. So without further delay, here is the lovely new book. 5 Tips To Live Your Professional Dream. Thanks so much for having me today—this is a fun topic, and I’m happy to weigh in! I’ve wanted to be a writer since I was in middle school, but it wasn’t until I was in college that I started putting words on paper and got motivated to write fiction. I changed my major from business to creative writing, graduated, and … you’re waiting for me to say the rest is history but that’s not quite the case. The real story is that I went to work in business, which is what I’m still doing today (and loving, incidentally). The desire to write never really went away, though, and it took my son graduating from high school (the whole “you’re not getting any younger” thing) to inspire me to sharpen my pencil and pursue that old dream. But it certainly wasn’t a straight shot to publication. Was I ever tempted to give up? Yes, a number of times. People have said to me more than once that they admire me for pursuing my dream, especially when I have a full time job and a pretty busy life not even counting the writing. People say they could never do what I do. But I totally disagree with that. Whether your passion is writing or painting or performing or (fill in the blank), here are five tips—distilled from my own experiences—to help you get started and stay motivated. Make your dream a priority. To stay fit, I walk five times a week. Period. And I’ve done so for many, many years. I walk in the rain. And the wind. And the heat. And when I get home late from work and don’t really want to. It’s a habit that I formed long ago because fitness is important to me. I treat writing the same way. I block out time, and then I show up and do the work. For me, early mornings work best. Sick with a bad cold? I get up anyway and muddle through the best I can. I’m there every morning without exception. If your dream is truly a passion, then it deserves to be an integral part of your life. Find a professional group and join. I spent far too much time trying to do everything by myself. Finally, I admitted defeat and joined a professional writing group. I now firmly believe that if I had not done so, I would not be published. Hanging out with a group of like-minded people pursuing the same goal gave me much-needed encouragement. I learned what I was doing wrong and—most importantly—how to do it right! I learned how to write, edit, plot, pitch, and query, all of which are crucial if your goal is to get published. Don’t go it alone—learn your craft from others who’ve been in your shoes and are eager to help. Keep your goals achievable and realistic. I don’t want to burst anyone’s bubble, but there’s a fairly good chance that if you start writing, you won’t be as successful as Nora Roberts or Stephenie Meyer or J. K. Rowling. You probably won’t be able to quit your day job after your first sale…or even after your fourth. Pursue your dream for the enjoyment it gives you and ditch the expectations of stardom. Just because your book doesn’t hit the bestseller list doesn’t mean it’s not important and shouldn’t be written. And the same goes for other pursuits. Personal success is often quiet and meaningful. Celebrate it. Believe in yourself. Rejection is tough. And in the writing business—and a lot of other areas that are worth pursuing—you get rejected a lot. Failure is part of learning your craft. You have to believe in yourself and keep putting yourself out there. If after two or three rejections you give up, you will never make it to the finish line. Every time I got a rejection letter from an agent who’d requested a full manuscript I’d generally quit writing…for about a week. (Typically, I threatened to quit altogether, but a week seemed to be my “reset” point.) It took me that long to process the agent’s comments and figure out what to do with them. Then, I swallowed my disappointment and got right back up on that horse. You have to. No one else can do it for you. Don’t wait for the right time. You will never have “enough” time or “more” time to pursue your dreams than you do today. I was fortunate enough to spend seven years as a stay-at-home mom before my son started first grade. At the time, those days seemed so busy. It was easy to put off writing. After all, I’d have plenty of time, I was convinced, later when… my son was older, I had more experiences to write about, life was easier… take your pick of excuses. But what I’ve found is that all that time never materialized. Those years at home seem downright luxuriously uncomplicated compared to my hectic life now, and I regret not writing more. Pursue your dream today. Don’t wait for a better time because there won’t be one. In closing, let me say that I love to meet people who are passionate about pursuing their goals. So, get in touch—I’d like to hear from you. And good luck pursuing your own brand of sweet dreams! Enter the Giveaway and win a copy of the book. All you have to do is click this rafflecopter link and sign up. 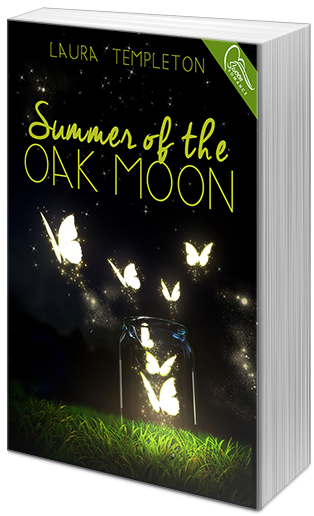 Five (5) winners will receive a digital copy of Summer of the Oak Moon by Laura Templeton (INT). The drawing will take place on June 1. Check out what other hosts have to say about Laura and Summer of the Oak Moon by clicking this official tour stop link. 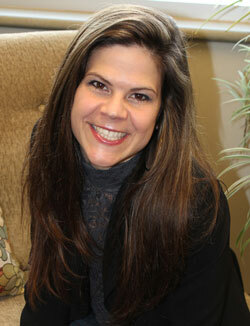 Thank you all for stopping in and meeting Laura Templeton. Don’t waste a minute in following your heart. May the rest of your day be sunny and bright. Posted on May 13, 2015, in Uncategorized. Bookmark the permalink. 3 Comments. Hi Erika. I’m so late on this…my apologies. Thank you so much for hosting me on the blog tour for Summer of the Oak Moon. I very much appreciate your support!